Sewing contest: Plain and simple category: prize packs! The contest is online for a week now and I’m surprised to see such amazing creations so far. Over 40 participations yet, but don’t let that scare you. The mix & match category has only 3 garments so far, so take your chance to win one of our fantastic prizes!!! Every week I’ll present the prize packs of one category. This week I’ll start with Plain & simple. A perfect category for beginners or creations sewn in the past. From the Elvelyckandesign collection I selected 5 fabrics for you. The first prize pack includes 125cm of each of these designs! Such adorable prints on organic jersey printed in Europe. How great is that? Did you already check out their website or Spoonflower account? Vicky, the owner of the Belgian company Balls & Needles, made a black Jacqueline vest specially for the contest. How sweet is that? The vest is hanging on my chair since it arrived and I must say that I wish it was mine. More then once I almost just felt like keeping it. :) It’s an oversized model so it fits probably most of you! Check out Balls & Needles if you know how to knit, just like me. Vicky was so kind to send two knitting kits to make Lisa and Nore some beanies. They’re finished yet. Just a matter of taking pictures, because my girls love them. Although it was 18 degrees in Belgium last week, Nore went to school with her new beanie. What more do I need to say? Before the contest started, I got the chance to talk to Lotte in person. What a wonderful and inspiring person. For the contest she’s not only giving away 2 fabric vouchers, but a workshop too! If you don’t know Lotte’s work yet, make sure to check her website now. She makes the most stunning screen printed fabrics in her own workshop space. She also designed all fabrics for this new book by the way. And of course you can spot ‘vuurdoorn‘ in this collection. My personal favourite Lotte Martens fabric by far. Ateljee P. is based in Geel, Belgium. You can find brands like Soft Cactus, Free Spirit, Kokka, Echina, Hamburger Liebe,… in her shop. Of course she sells Compagnie M. pattern too! Since she doesn’t have a webshop, I made a selection for you. Hope you’ll like it! 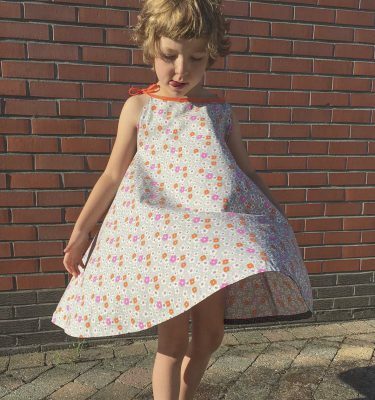 Kokette Katinka is based in Antwerp, Belgium and maybe you didn’t know this yet: she is selling my patterns too! Besides fabrics, she also has a lovely selection of beads to make your own jewels. 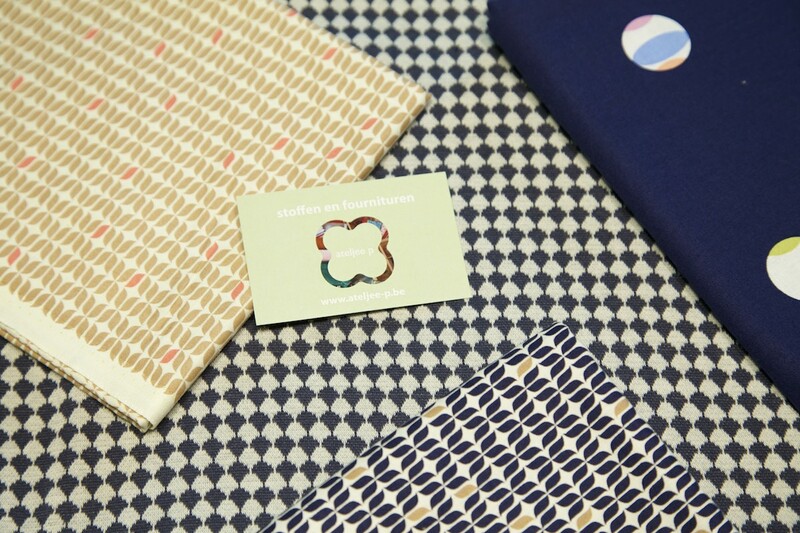 If you win her voucher you can select your favourite fabrics in her webshop. Allotte is the perfect shop if you like fabrics with a structure. 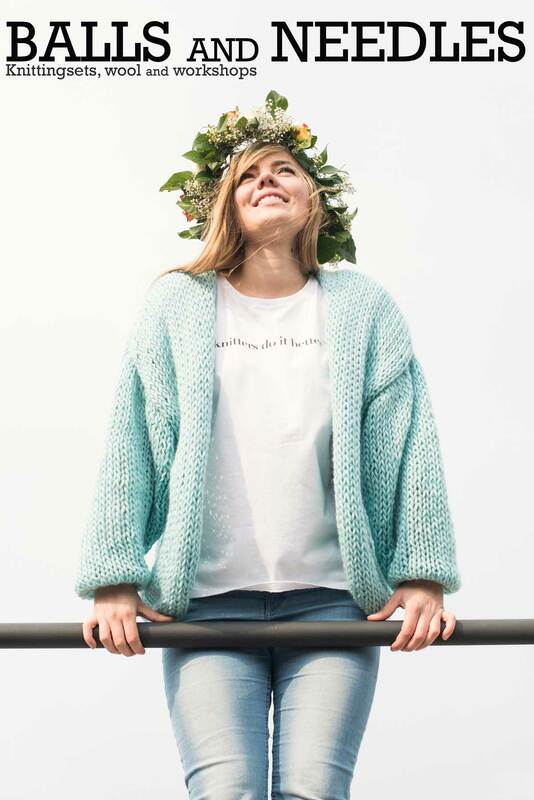 Every time I visit her webshop, I see Julia sweaters all around. Allotte mainly sells (knit) fabrics for women. Who doesn’t like a selfish sewing project from time to time? Madeline sells a large selection of fabrics in her shop in Lier, Belgium. She has just launched a new webshop too. Make sure to have a look tomorrow as I will be guest posting one of the items I’ve sewn for her blog tour! 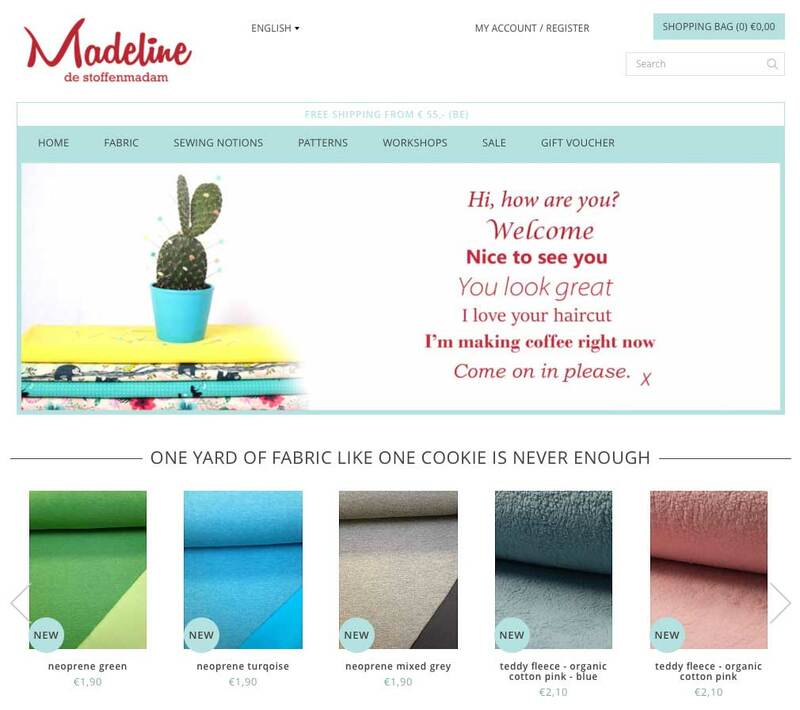 Marieke is the owner of the Dutch online shop Sew Natural. All products she selects are ecological in one way or the other, just like my patterns! Make sure to visit her website to drool over her selection already as the winner will receive a voucher for her webshop. I would like to thank all sponsors for their generosity! THANKS THANKS THANKS! No contest without you, ladies!